Aubrey Plaza is a busy, busy lady. A couple of new iPhone 6s ads play up the time-saving powers of 3D Touch and the time-travel abilities of Live Photos. Apple just posted the videos to its YouTube account, and if you’re a fan of the quantifiable measurement of change, you’ll find a lot to like in the 30-second spots. Check them out below. 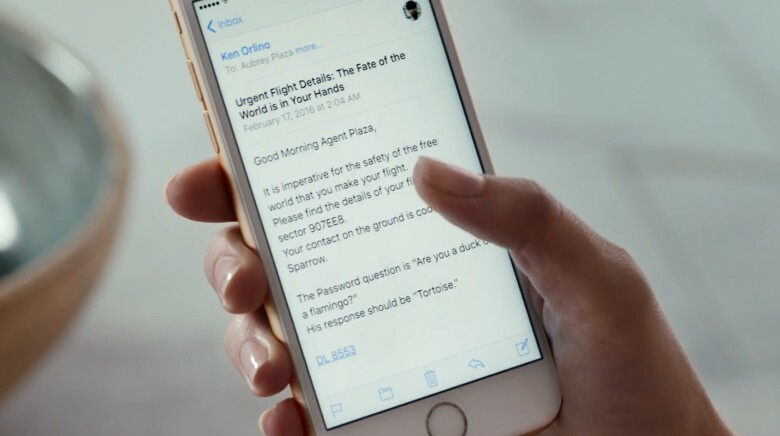 The first video, “Less Time,” shows off some of the things iPhone 6s users can do faster with the device’s 3D Touch feature, which can recognize both soft and hard presses on the screen. The capabilities, called “Peek” and “Pop,” respectively, let owners preview e-mails, watch videos, and perform other tasks without having to leave the app they’re currently running. And if you were hoping for some star power, like previous promos’ appearances by actor Jamie Foxx and director Jon Favreau, Apple has you covered with a quick appearance from actor/comedian Aubrey Plaza (Parks and Recreation). The less cleverly named second spot, “Live Photos,” features the iPhone 6s feature that records a second and a half on either side of pictures you snap to create tiny, moving scenes that are somehow officially still photos and not little videos. We didn’t design the thing, but they look like videos to us. We assume the ad is making a distinction between time travel in the Doctor Who, Back to the Future sense of physically blasting across the space/time continuum and the same-named feature on the Apple Watch that lets you spin the wearable’s Digital Crown to check for future events, weather, and appointments. Although this one time, I thought it would be a great idea to confirm a meeting time while I was driving, so in that sense, Time Travel can be pretty dangerous, too.